The American Indian Science and Engineering Society (AISES) is a national, nonprofit organization focused on substantially increasing the representation of American Indians, Alaska Natives, Native Hawaiians, Pacific Islanders, First Nations and other indigenous people of North American in science, technology, engineering and math (STEM) studies and careers. Alpha Omega Epsilon (AOE) is a professional and social sorority for women in engineering and technical science majors founded in 1983 that promotes friendship, leadership, and professionalism to all member of the organization, the community and our professions. AOE hosts a multitude of events and takes pride in being a part the annual Oklahoma State homecoming. Additionally, AOE members attend national conventions for the sorority. The mission of the National Society of Black Engineers (NSBE) is to increase the number of culturally responsible Black engineers who excel academically, succeed professionally and positively impact the community. NSBE is one the largest minority student led organization with chapters all across the nation and overseas. At OSU, they host student events, tutoring, and attend conferences across the nation each year. These opportunities aid students academically, with tutoring and study tips, and professionally through networking at conferences. 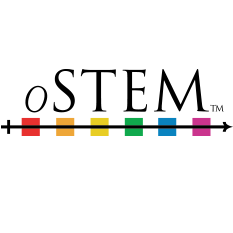 The mission of oSTEM is to empower lesbian, gay, bisexual, transgender, and queer individuals in science, technology, engineering, and mathematics by providing education, advocacy, professional development, networking, and peer support. SHPE is an organization that focuses on professional events as well as social activities. SHPE takes part in regional and national conferences which serve as great networking opportunities throughout the nation. Locally SHPE host Noches de Ciencias, an outreach event at an Oklahoma high school for both students and parents to learn about more about college. Society of Women Engineers mission is to stimulate women to achieve full potential in careers as engineers and leaders, expand the image of the engineering profession as a positive force in improving the quality of life, and demonstrate the value of diversity. The Oklahoma State chapter of SWE hosts an annual SWE Day every fall and Junior Girl Scout Day every spring to raise awareness of women in engineering, architecture and technology related fields. SWE monthly meetings consist of workshops and industry speakers giving students great networking opportunities throughout the year. In addition to campus events, SWE members attends regional and national conferences every year, allowing its members to meet engineers across the nation.